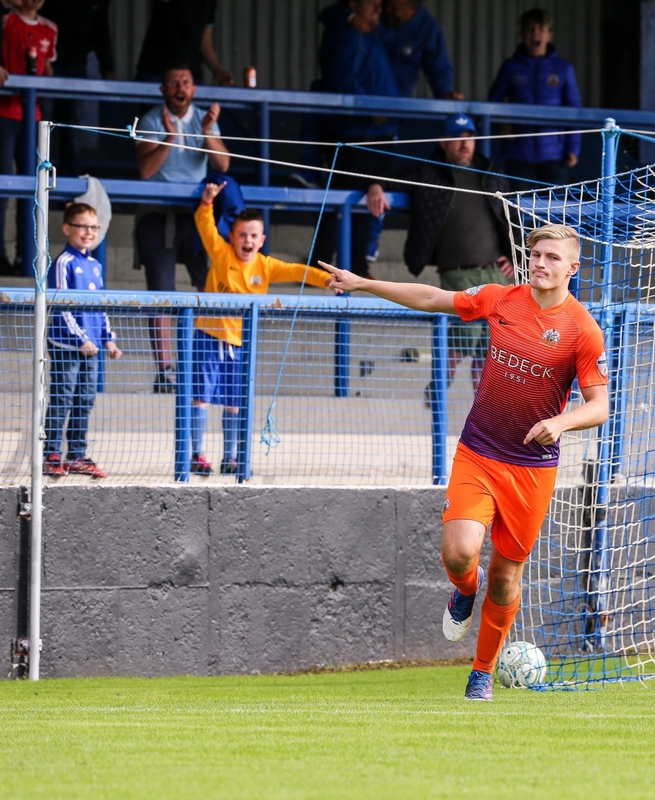 Glenavon suffered their first defeat of the season on Saturday (September 2nd), losing 4-2 to Coleraine at the Showgrounds; a result which saw the Bannsiders move above Linfield and into top spot in the Danske Bank Premiership table. The excellent Darren McCauley gave Coleraine the lead from the penalty spot, before Glenavon hit back through Adam Foley, but a Josh Carson goal and McCauley’s second of the afternoon gave the hosts a 3-1 lead at half-time. A goal early in the second half from Andrew Mitchell gave the visitors hope of fighting their way back into the game, but Ciaron Harkin’s strike just two minutes later sealed the three points for the home side. Coleraine opened the scoring in the 14th minute. Appeals for a penalty against Simon Kelly for handball were turned down, but the hosts were awarded a spot kick immediately afterwards when Rhys Marshall tripped Brad Lyons. McCauley stepped up and cheekily dinked a Panenka-style penalty agonisingly beyond the reach of goalkeeper Jonny Tuffey. 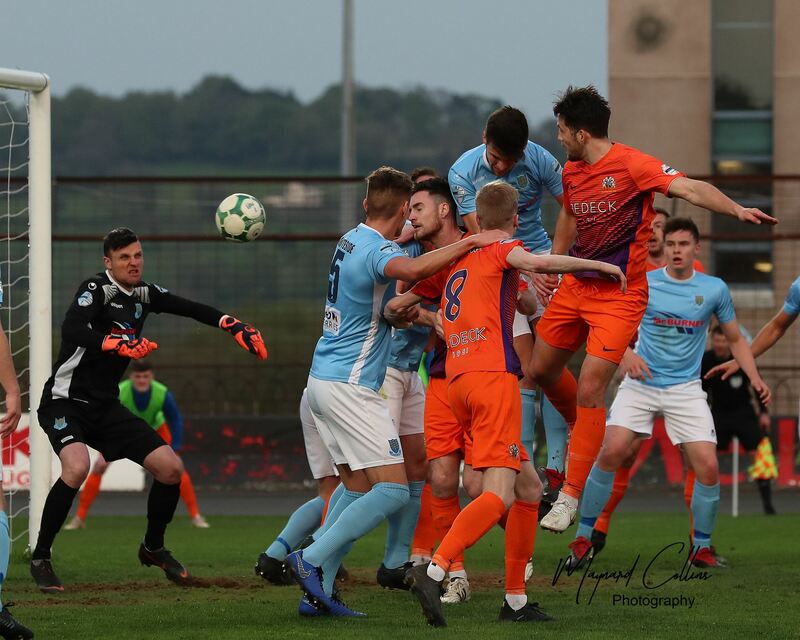 Gary Hamilton and his coaching staff will surely be concerned by the fact that that was the fourth penalty Glenavon have conceded in just five league games so far this season. Ten minutes later the Lurgan Blues hit back to level the score. Andrew Hall and Marshall worked a one-two from a throw-in on the right flank and Hall whipped an excellent cross to the far post, where Foley rose above full-back Adam Mullan and directed his header beyond Chris Johns to grab his fifth goal of the season. The home side went back in front on the half-hour mark. 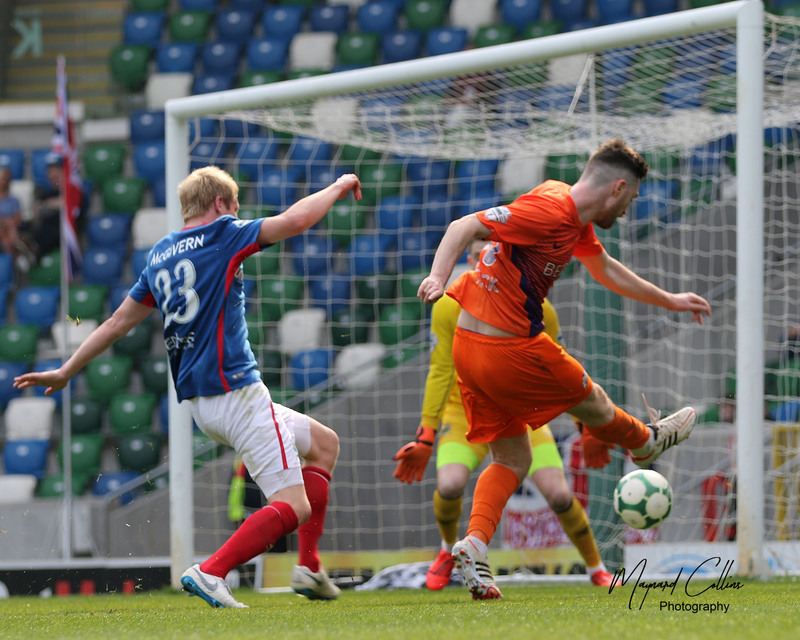 Tuffey came out and attempted to catch counterpart Johns’s long free-kick but got tangled up with ex-Glenavon striker Eoin Bradley, failing to claim the ball and presenting Carson with the simple task of poking it into an empty net. Then, on 39 minutes, Coleraine doubled their lead. Harkin slipped the ball to McCauley just outside the penalty area and the winger stepped inside Mark Sykes before curling an excellent right-footed shot beyond the dive of Tuffey and into the far top corner. 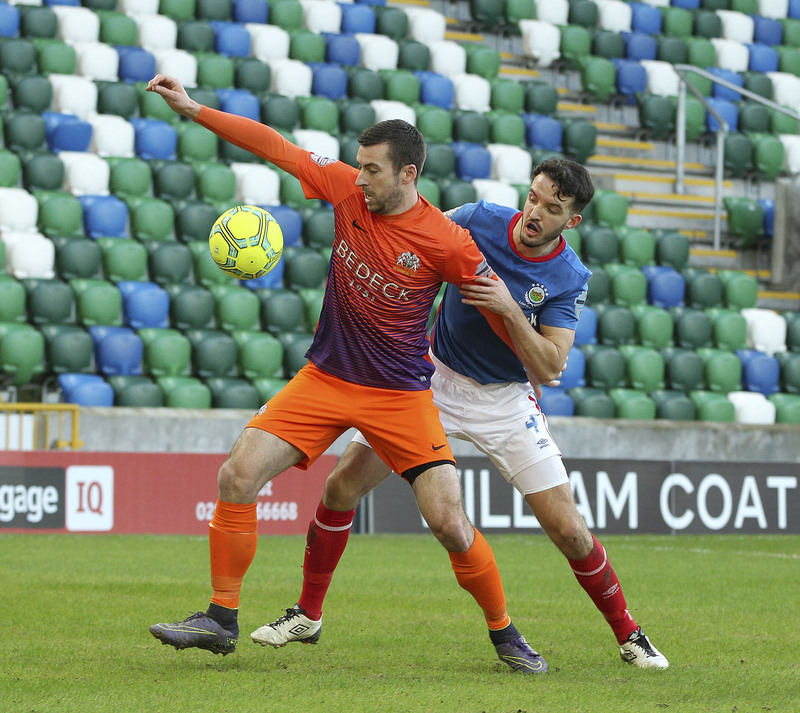 Glenavon knew that to have any chance of getting back into the game they needed to start the second half well and that’s exactly what they did, pulling a goal back less than five minutes after the restart. Hall was again the provider, battling his way past left-back Aaron Traynor and playing a low cross into the box. Mitchell slid in front of Mullan and diverted the ball past Johns to make it 3-2, moving level with team-mate Foley at the top of the division’s goalscoring chart in the process. 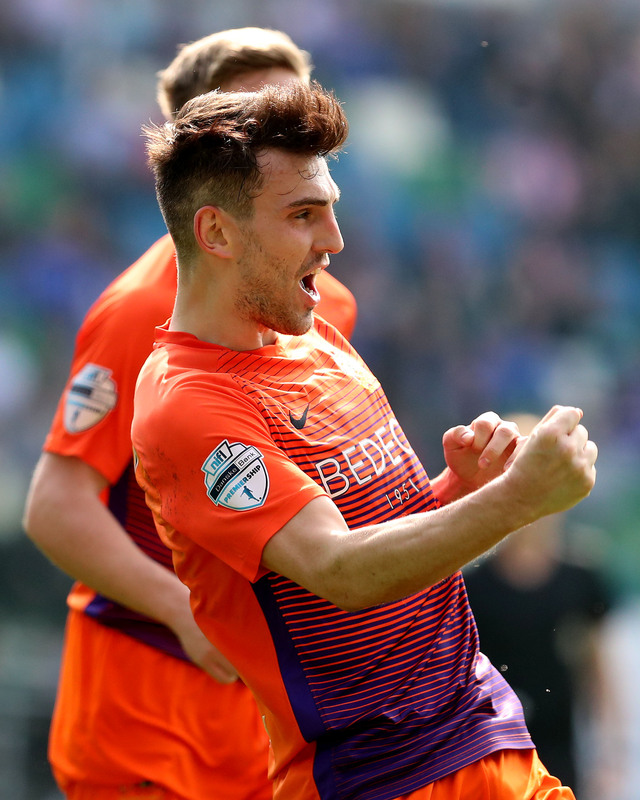 Coleraine defender Stephen O’Donnell somehow fired over the bar from inside the six-yard box following Carson’s corner, but it didn’t prove to be a costly miss, as the Bannsiders restored their two-goal lead on 51 minutes. In a role reversal of their third goal, McCauley turned provider for Harkin this time, laying the ball off for the midfielder right on the eighteen-yard line. Harkin smashed his shot in off the underside of the crossbar, giving Tuffey no chance. 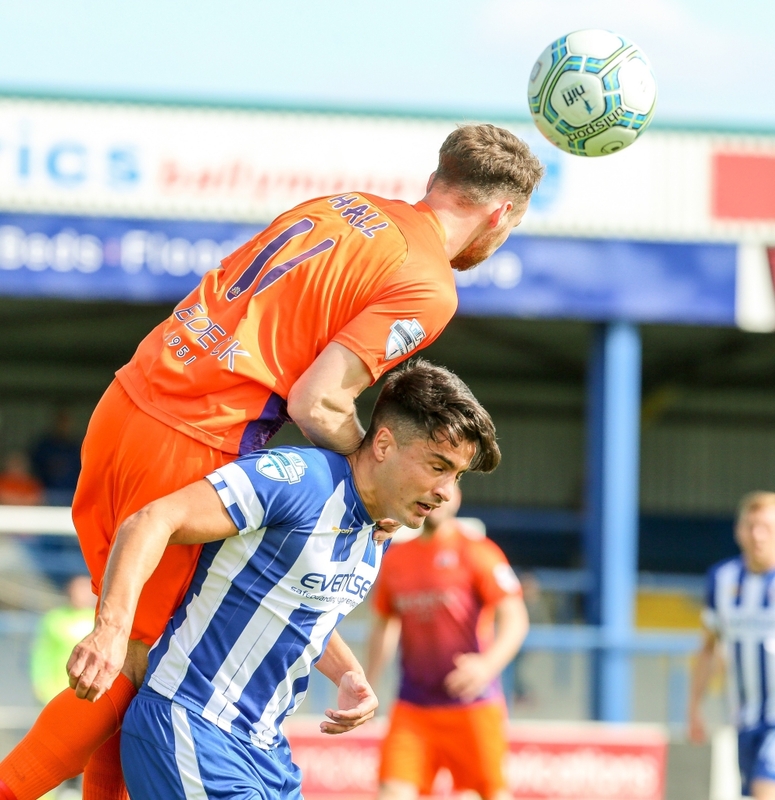 Coleraine captain Bradley had two opportunities to add to the home side’s lead in quick succession. First Marshall gave the ball away to Ian Parkhill close to the centre circle in the 53rd minute and his through ball gave strike partner Bradley a clear run in on goal, but he sent his effort high and wide of Tuffey’s right-hand post. Then a couple of minutes later Tuffey made a good save to deny Bradley, diving to his left to keep out the number 10’s well-struck shot. 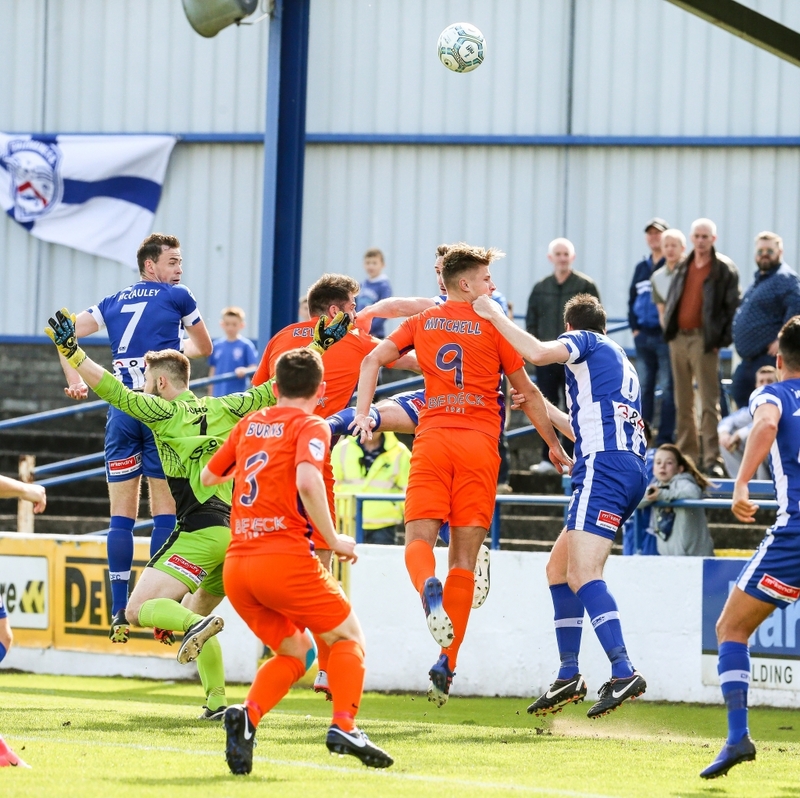 Glenavon manager Hamilton attempted to sway the momentum of the match with the introductions of Josh Daniels, Andrew Doyle and Marc Griffin, but other than having a penalty appeal turned down in the 88th minute the visitors didn’t really threaten, and the game finished Coleraine 4-2 Glenavon. 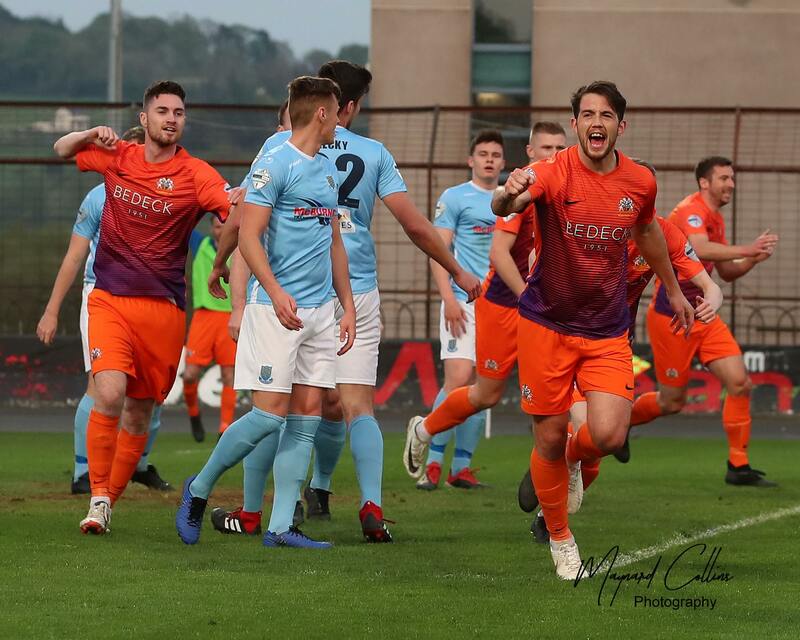 Glenavon will be hoping to bounce back on Friday night (September 8th) when they welcome Carrick Rangers to Mourneview Park (kick-off 7:45pm).